Amber Werchon Property presents to the market, 17 Caree Court, Maroochy River;THIS elegant, custom-designed home on a magnificent two-acre parcel of land in an elevated position, showcasing sensational sweeping views encompassing countryside and coast, offers a desirable lifestyle in an idyllic location. 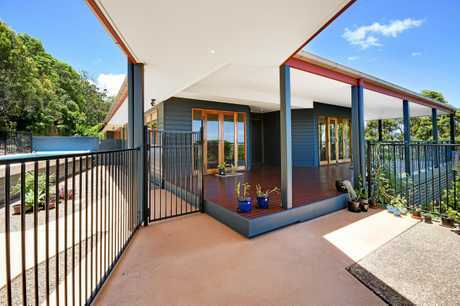 The single-level home offers easy-care living and maintenance, and is complete with three bedrooms, large study with external entrance, spacious open plan living and dining opening out to a covered wrap-around timber deck. There is a stylish granite kitchen, 10.7m heated in-ground pool, plus three-bay garage with 2m by 2m cold room/cellar on a 8119sq m beautifully landscaped block irrigated by an extensive in-ground sprinkler system. Features are extensive and no expense has been spared in the fit-out; high ceilings, brushbox timber floors, ducted zoned air-conditioning plus separate split systems, ducted vacuum, back-to-base security system, quality stainless steel appliances, induction cooktop, private deck off master bedroom, heated towel rails, hot and cold outdoor shower by pool, crimsafe windows, two 38,000L rainwater tanks plus separate tank for garden, and abundant on-site parking for additional vehicles. There is also a state-of-the-art waste treatment system treating household waste and directing water to lawn. 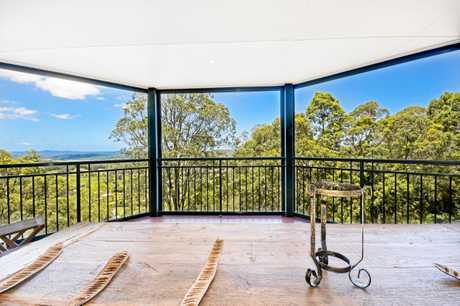 Designed to maximise the picture-postcard vista from the mountains to the sea; breathtaking by day and magical by night, you'll be enchanted by the shimmering sparkling coastal lights as you sit on your deck and soak up the glory. When those summer storms roll in, you'll have a bird's eye view of the dramatic unleashing of mother nature at her most furious...the lightning display is simply spectacular. A fully insect-screened enclosed part of the verandah ensures all-weather entertaining can be hosted on the deck - no annoying mozzies or flying insects...just pure bliss as you pour a glass of prosecco and toast the good life! 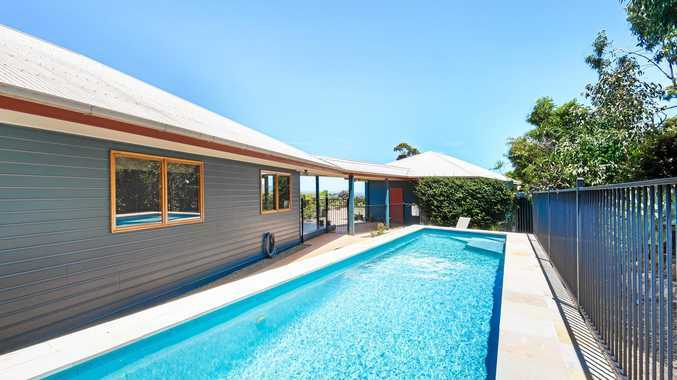 Located in a whisper-quiet cul-de-sac in a dress circle neighbourhood surrounded by premium homes; Coolum Beach is 12 minutes away, and the historic village of Yandina approximately 7 minutes.